Children love birthday parties. There’s nothing they love more than going to birthdays, Christmas parties, or any kind of party, for that matter. There they would see their friends, they’ll get to eat cake and ice cream, and they’ll be have the chance to win prizes from games. Parties will always be fun for them. And on the other side, Mickey Mouse was first introduced in 1982 and has been very popular ever since. Though we don’t get to see him more often in shows and movies unlike before, and his fame isn’t really the same when he first came out, but he still holds a very special place in our hearts, both children and adults. 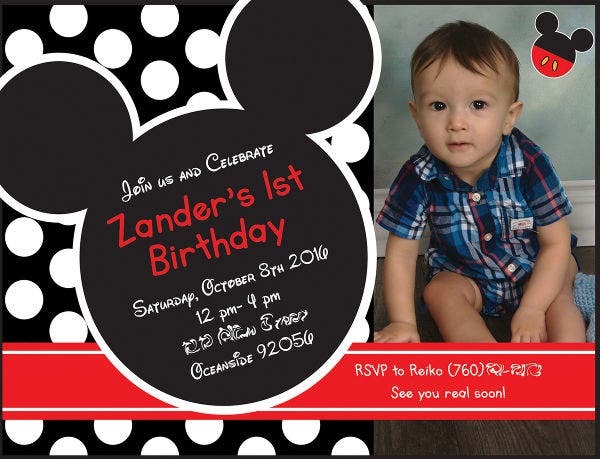 So if you’re planning on organizing an event with a Mickey Mouse theme, then check out our collection of Mickey Mouse Invitations. We have saved you the hassle in have provided you with the best ones from the Internet. Feel free to check out what we have. 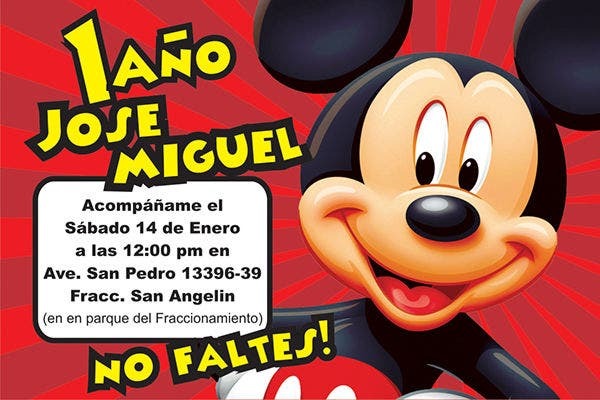 Mickey Mouse is a Disney cartoon character and the official mascot of The Walt Disney Company. He was created by Walt Disney in 1928. The original incarnation of Mickey Mouse was named Oswald the Lucky Rabbit but was not as popular. After Disney scrapped Oswald and turned him into a mouse, his original name was Mortimer before it was changed to Mickey. It was until 1928, when the Mickey Mouse short Steamboat Willie premiered that the world started to love Mickey and his fame started to rise. The Mickey Mouse Club, a fan club for children, started two years after Mickey Mouse premiered. Mickey was voiced by Walt Disney himself from 1928 to 1946. Mickey first appeared in color in Parade of the Award Nominees in 1932. In 1940, Mickey Mouse appeared in his first full-length movie, Fantasia. In March 14, 1929, Mickey was rejected for the first time by Minnie in favor of Pete. Mickey’s first words were “hot dogs” in his July 1929 short movie, The Karnival Kid. Walt Disney had actually confirmed that Mickey and Minnie are married. Charlie Chaplin serves as one of the inspirations behind Mickey’s movements. 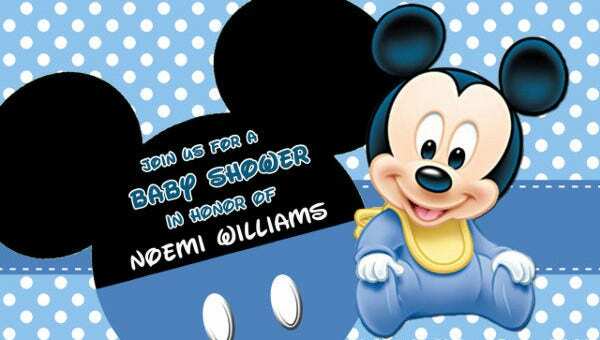 Mickey Mouse’s official birth date is November 18, 1928, which makes him 88 years old as of February 2017. Walt Disney was actually scared of mice, and his irrational fear of these creatures lead him to create Mickey and Minnie. Mickey’s complete name is Michael Theodore Mouse. Mickey Mouse shared a scene with Warner Bros.’ Bugs Bunny in the 1988 movie Who Framed Roger Rabbit? 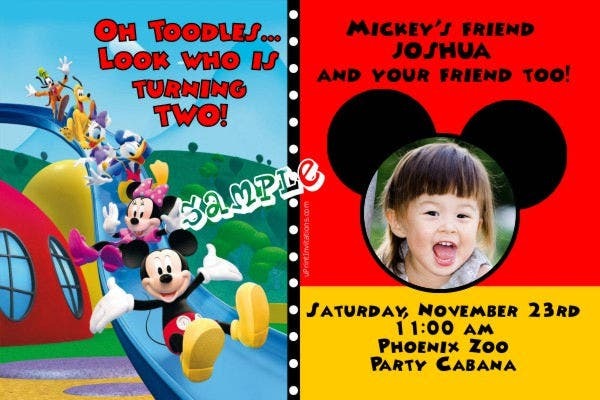 Working on a Mickey Mouse-themed birthday celebration? 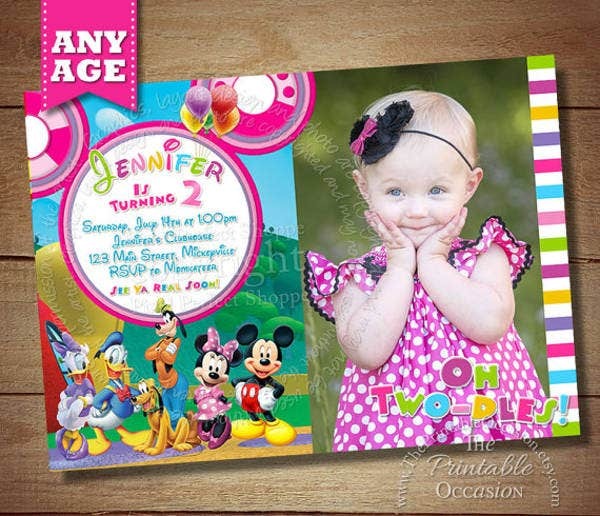 Then what could be better than having your invitations follow the theme of the party? 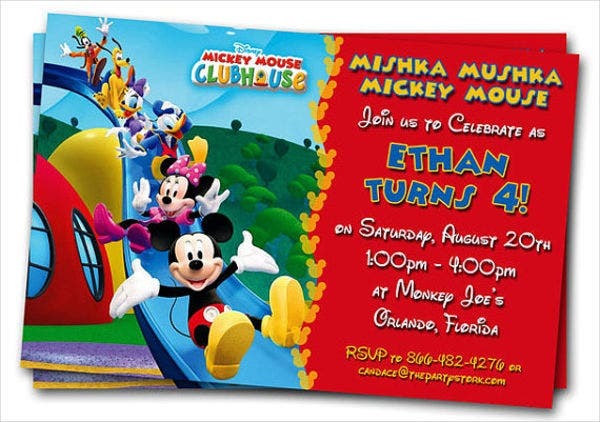 Check out our collection of Mickey Mouse Birthday Invitations. Why Choose Our Logo Templates? 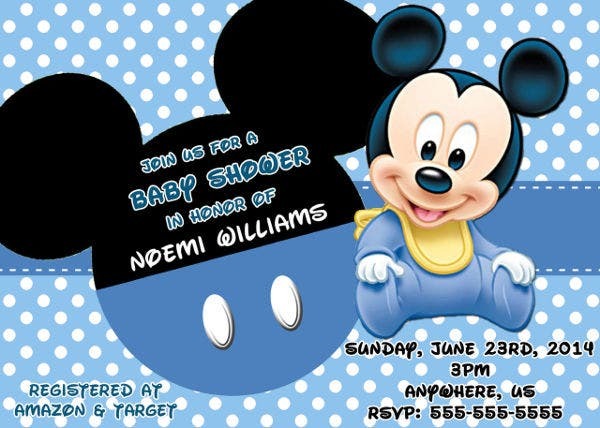 Our templates have been carefully selected from among the best ones all around the Internet. These have been designed by skillful and creative graphic artists with a lot of experience on this field. These templates are also accessible and can be downloaded easily by anyone with good Internet connection. You may be able to save these in PSD, PNG, or Vector AI format. 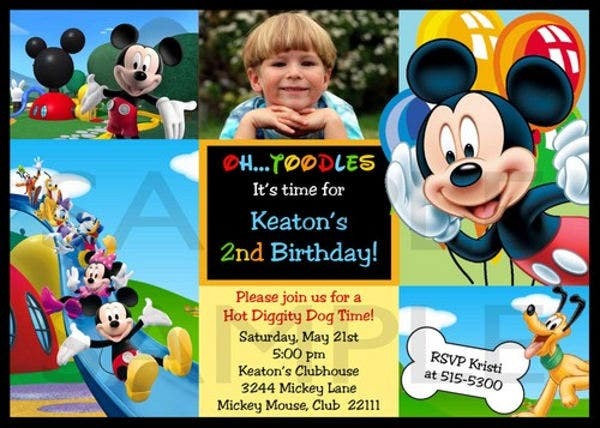 These templates are fully editable and are also compatible with most photo-editing software available. 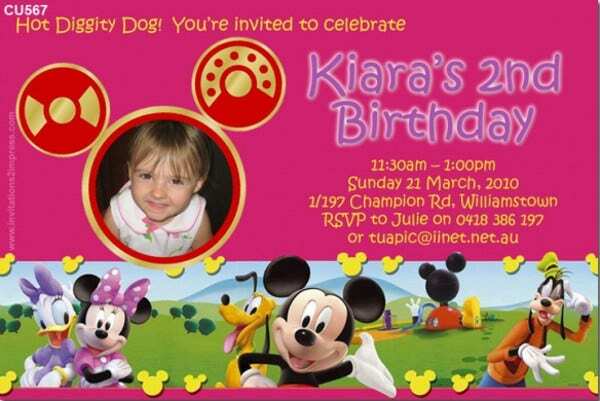 If your hosting a formal event, then check out our collection of Formal Invitation Templates. But if you couldn’t find what you were looking for on this page, scroll down to the bottom and check out the links to other related content found on our website.